Numerous sculptors provided the sculptures that feature prominently on the bridge. 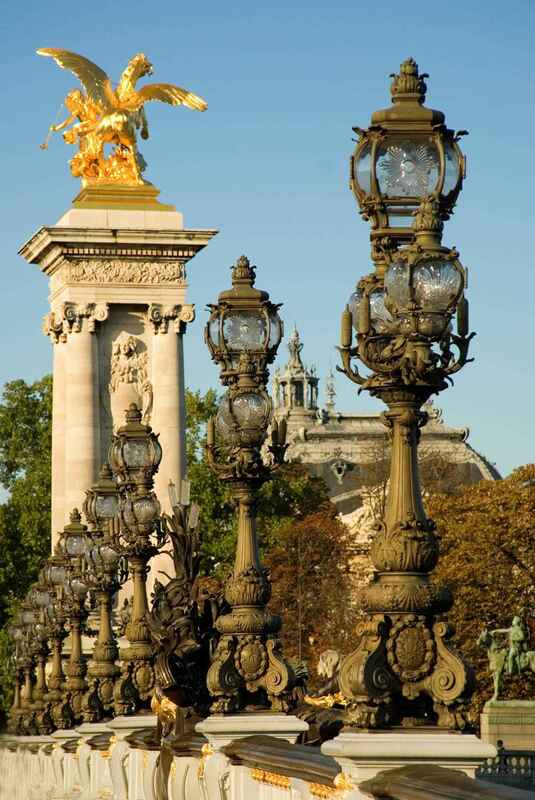 Four gilt-bronze statues of Fames watch over the bridge, supported on massive 17 metres masonry socles, that provide stabilizing counterweight for the arch, without interfering with monumental views. The socles are crowned by Fames restraining Pegasus. On the Right Bank, Renommée des Sciences ("Fame of the Sciences") and the Renommée des Arts ("Fame of the Arts") both by Emmanuel Frémiet; at their bases, La France Contemporaine ("Contemporary France") by Gustave Michel and France de Charlemagne ("France of Charlemagne") by Alfred Lenoir. The lions groups are by Georges Gardet. The Nymph reliefs are at the centres of the arches over the Seine, memorials to the Franco-Russian Alliance. The "Nymphs of the Seine" has a relief of the arms of France, and faces the "Nymphs of the Neva" with the arms of Imperial Russia. They are both are executed in hammered copper over forms by Georges Récipon. In the same political spirit, the Trinity Bridge in Saint Petersburg was conceived as a memorial to the Franco-Russian Alliance. It was designed by Gustave Eiffel, and the first stone laid in August 1897 by French president Félix Faure. 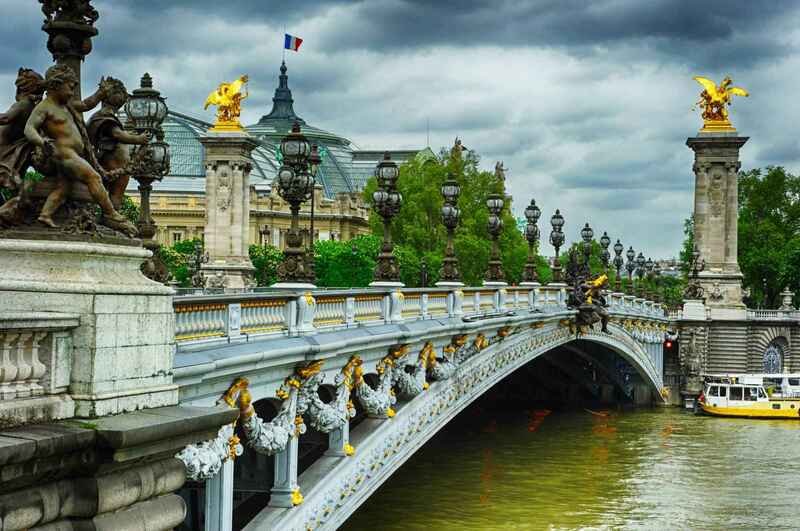 Pont Alexandre III | eTips Inc.